The consensus on trends for 2019 in the fast-moving-consumer-goods (FMCG) sector is that the consumer will continue to be king. People are looking for more convenience in their busy lives; at the same time, they care about the effects on their health of what they are consuming. Consumers are also concerned about saving the planet and having a more enjoyable and streamlined shopping experience. 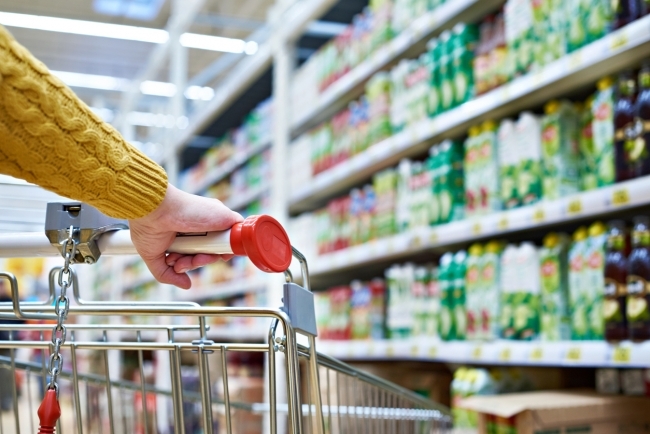 The Supply Chain Consulting Group explores 5 consumer-centric FMCG trends for 2019. Although the FMCG sector is enjoying noticeable growth, it’s not all about food. Beverages and fast fashion are also benefitting from the advances in the uses of technology in marketing and distribution. Successful companies will be those that adapt quickly to changing needs. What do customers really want? They want an easy and transparent buying experience, whether in-store or online, with responsive customer services on a 24/7 basis. Leading FMCG companies are actively looking to raise awareness of the uniqueness of their brands. To do this, they are encouraging the sharing of information and customer experiences using digital solutions and social media. Companies are engaging with powerful influencers who have impressive followings to facilitate and endorse the promotion of their products, and ultimately develop genuine advocacy towards their brands. Consumers show their loyalty through recommending products or services to family and friends and through continued purchasing behaviour. Premium loyalty programs like Amazon Prime are reigning increasing popular; of which buyers want the benefits that such programs provide and are willing to pay for it. Companies are rewarding their customers for their loyalty and building relationships to create deeper engagement. Customers are expecting diligent personalisation; they don’t want to be subjected to random overtures and advertisements. Companies that can effectively turn data into information, and information into insights, will lead the pack. Predictive analysis is becoming a crucial tool for FMCG companies. Results of analyses of sales per channel can determine what products and services to offer, and when and where. Supply chain consultants use business intelligence tools that can track sales in fine detail. From these reports, FMCG companies can forecast demand. This trend is very prevalent, particularly in the food sector. Supermarkets are moving into premium ready-to-serve healthy options, a far cry from the old TV dinners and microwave meals. There is wider adoption of online quality fast-food solutions and restaurant deliveries such as UberEats and Deliveroo. However, the real area of growth is in ready-to-make-at-home meal kits and subscription boxes, such as HelloFresh, which compete with the top supermarkets. It’s not just the product itself, but how the product is packaged and labelled. Consumers are increasingly becoming more environmentally aware of unnecessary packaging and especially of single-use plastics. Brands are under pressure to simplify messaging and deliver unambiguous information. To do this, they need to work with suppliers to ensure that their products are both adhering to health and safety standards and provide clear nutritional information for consumers to understand. They are asking for foods that are low in sodium, with reduced fat and preservative free. Local brands are often chosen over global ones; people care about seasonal availability and provenance and want to limit their carbon footprint. The UK textiles, apparel and footwear industry is likely to be heavily impacted when the UK leaves the European Union. According to a recent report by McKinsey, The State of Fashion 2019, about 10,000 EU citizens are employed in the British fashion industry. 63% of UK fashion designers and 55% of UK-based luxury good makers are involved in exports. “Regardless of size and segment, players now need to be nimble, think digital-first and achieve ever-faster speed to market. They need to take an active stance on social issues, satisfy consumer demands for ultra-transparency and sustainability, and, most importantly, have the courage to self-disrupt their own identity and the sources of their old success” (McKinsey & Company).